Administrative professionals are an essential component who keep businesses going. Every year, on the last Wednesday and last full week of April, we celebrate Administrative Professionals Day and Administrative Professionals Week to show these amazing professionals how valuable they are to our organizations. Administrative gift ideas from Successories are the perfect way to show your appreciation any time of year. Whether you're looking for functional, decorative, or recognition-themed administrative assistant day gift ideas, Successories has thousands of beautiful gifts to choose from. Browse our entire line of thank you gifts, or click below to shop administrative assistant day gifts that make recipients feel truly special. Secretaries, administrative assistants, and other office professionals are often some of the hardest-working employees who take care of the details that ensure business operations run smoothly. Showing recognition of administrative professionals throughout the year is a meaningful way to keep staff motivated and encourage retention for your business. For Administrative Professionals Day, Administrative Professionals Week, and throughout the entire year, here are some ways to enhance the careers and satisfaction of administrative professionals at your organization. Create a special event specifically for administrative staff. Pair a presentation by an educational speaker with group recognition from the chief executive. Close the event by presenting each administrator with an appreciation gift. A picture frame, pen holder, or other desktop accessory featuring a motivational message is a way to show you care. Provide registration for a professional development seminar to help administrative team members to learn new business, technical, or communication skills. To generate excitement around the program and reinforce your commitment to ongoing education, give each registrant a padfolio to use at the seminar. Establish an on-site library stocked with relevant self-study materials. Include publications targeted specifically toward administrative professionals. Support membership in appropriate professional associations. Look for organizations that offer educational workshops addressing topics such as office technology trends, career development planning, effective communication, and more. Encourage continuing education with the ultimate goal of professional certification. Provide tuition reimbursement or discounts if possible. Let your support staff's strengths shine by delegating responsibilities based on their interests and skill sets. Use instant recognition items like lapel pins and medallions to offer on-the-spot appreciation of contributions. Make sure the gifts you select have both professional and personal meaning. Office accessories such as engraved desk clocks, desktop nameplates, and personalized business cards reinforce your support of their professional development and let them know you appreciate their unique talents and contributions. Your administrative professionals team likely has amazing talents that can help elevate your organization to new heights when they are recognized and utilized. Use appreciation gifts to instill confidence in your team and increase their dedication to the success of your business. Give an attractive and scented desk accessory that shows your appreciation every day. Provide your admin professional with a gift that lets them unwind and relax at home after work. These keychains serve as a reminder of your gratitude every time they're used. Pens are professional and functional keepsakes that they'll love using. These stylish and useful journals can be used personally or professionally. Admins will know they're appreciated every time they reach for their favorite beverage. Engrave a custom inscription on select stunning gifts for something truly personal. These versatile gifts display your appreciation whether they're used for work or outside the office. 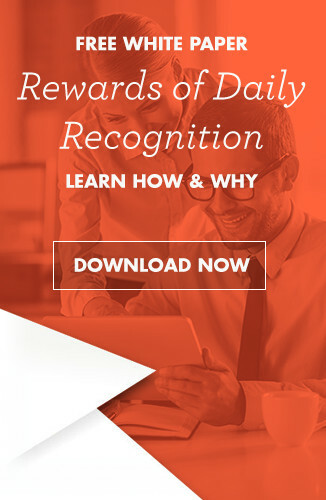 Besides making your administrative team feel valued with thoughtful gifts, employee recognition plays an important role in creating engagement throughout your entire organization. 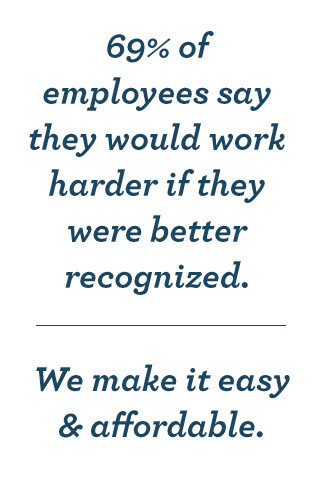 Other employees will see that leadership acknowledges the work of the team. Peers of admin professionals will increase their appreciation for the work being done. Other employees may be motivated to increase their level of productivity in hopes of being recognized, as well. When you give Administrative Assistant Day gifts and offer tokens of appreciation year-round, it's beneficial for both those who receive the gifts and for your business. It's easy to display your gratitude with Successories, since we're constantly updating our extensive selection of gifts with new innovative ways to show you care. Browse a wide variety of administrative gifts here. What quietly began as National Secretaries Week® in 1952 has transformed over the years into the more inclusive Administrative Professionals Week® to become one of the largest workplace observances around the world spanning nearly every industry. There are over 4 million people who work in secretarial or administrative assistant positions in the United States. The president of The National Secretaries Association, which is now The IAAP, was Many Barrett. She and C. King Woodbridge, who was president of The Dictaphone Corporation, were on a council that was tasked with finding a solution to not having the necessary skilled office workers available. They came up with a solution with the help of a third person named Harry Klemfuss and that was a campaign for a national secretaries week. The first National Secretaries Week occurred in 1952 from June 1 to June 7 and was proclaimed so by Charles Sawyer who was The U.S. Secretary of Commerce back then. Wednesday June 4 was chosen as the designated day for National Secretaries Day. The National Secretaries Association decided to make a change to the observation date of National Secretaries Week and they changed it to April. National Secretaries Day was to be observed on Wednesday of the last week of the month. The changing nature of the workforce was the reason National Secretaries Association became Professional Secretaries International or PSI back in 1981. This also was the reason National Secretaries Day was changed to Professional Secretaries Week. PSI decided to change their name in 1998 to the International Association of Administrative Professionals as this was a reflection of expanding roles of office staff. The IAAP announced Professional Secretaries Day was being changed to Administrative Professionals Day in 2000. This was needed to address the structure of administrative staff and responsibilities of office staff in an organization. When is Administrative Professionals Appreciation Day? Administrative Professionals Appreciation Day is always the Wednesday of the last full week of April. The last full week of April is known as Administrative Professionals Week. When is Administrative Professionals Appreciation Week? Administrative Professionals Week is always held annually during the last full week in April. Administrative Professionals Day is always held on the Wednesday of that week. Administrative Professionals Week was founded 1952 as "National Secretaries Week" by the then National Secretaries Association. The goal of Amdinistrative Professionals Day was to recognize secretaries for their contributions in the workplace. The idea began with Mary Barrett, president of the National Secretaries Association, now called the International Association of Administrative Professionals, and C. King Woodbridge, president of Dictaphone Corporation. Serving on a council addressing a national shortage of skilled office workers, together with Harry Klemfuss, public relations account executive at Young & Rubicam, believed that a National Secretaries Week would attract individuals to careers in the adminstrative field while recognizing "the secretary, upon whose skills, loyalty, and efficiency the functions of business and government offices depend." Administrative Professionals Week is always held annually during the last full week in April. Administrative Professionals Day is always held on the Wednesday of that week. The week that was designated as Administrative Professionals Week was once called National Secretaries Week by The IAAP or The International Association of Administrative Professionals. There were also a variety of office product manufactures that were involved in the initial organization back In 1952. What is an Admin Assistant? When is Admin Appreciation Day?